For a change, not knowledge, but knowledge of human nature is in demand in the new game show that will be always be seen from Friday, 21 April 2017 18:50 to ARD. The show will be followed by the well-known sports reporter Michael Antwerpes, who has also moderated the show since 2003 in the SWR. For the maids driving in the ARD, the makers have changed some of the rules and procedures of the show. So there are from now on four instead of three chapters, there are only three candidates to the stage. They always claim to be special, to have a special ability or to have a special hobby. The prominent guessing team can ask questions to find out the swindlers and find out the right person. In turn four is then even reduced to two candidates. But this does not make things simpler, because they are looking for an unleashing artist and a bag handkerchief - and this is not necessarily the case. Five prominent guesses are to come to the liars. Among them are Pierre M. Krause, Kim Fisher, Ursula Cantieni and Smudo as a permanent team, supplemented by a fifth celebrity every week. In the first shows are the actor Hannes Jaenicke, Tagesschausprecher Jan Hofer and cabaret artist Lisa Fitz. Of course, the audience can advise at home: do you have more detective insight than the celebrities? The idea of ​​the show is already very old: in 1956 it ran for the first time as "Tell the Truth" on US television, three years later there was the first German version, which ran until 1971 with great success. From 1986 there was a new edition in Bavarian Radio, which ran until 1995. In 2003, the SWR then took up the idea and reissued it - this version runs until today and can now switch to the large ARD. Their advice team brings the show from the SWR, so the audience can expect experienced detectives. 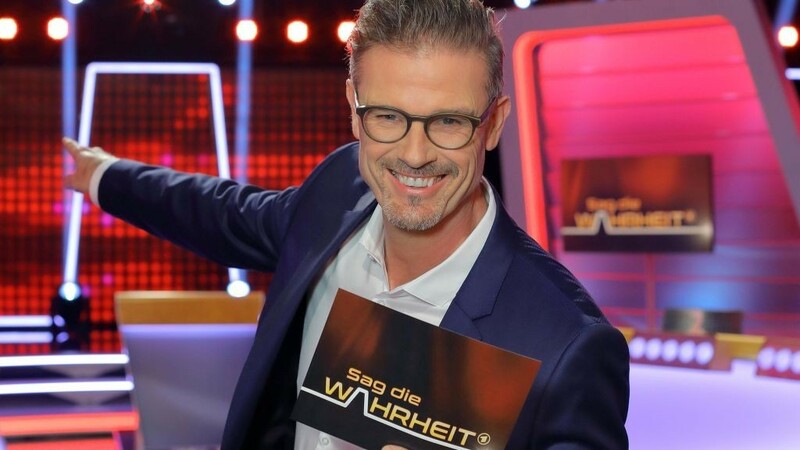 Quizshows from the third programs of the ARD on success to bring in the first, has with the ARD transmitter family already tradition. So also "asked - chased", meanwhile a quota hit on the eve of the ARD, was tested first at the NDR before it could first migrate. The presenter, who was originally from Great Britain, was also taken over by the presenter, and here, too, he was a sports expert: Alexander Bommes. The other shows on this radio station, "Who knows something," "Quizduell" and "Paarduel" started on the evening before, but have now also slipped with special editions into the Saturday evening. It remains to be seen which Showidee from the third programs it next in the ARD creates.